Was Ben good at parenting? 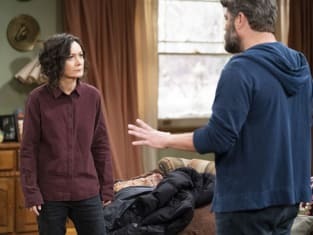 That's what Darlene tried to find out on The Conners Season 1 Episode 10 when he offered Mark some free piano lessons. Meanwhile, Jackie threw Becky a baby shower, but it quickly turned into a chaotic occasion when the family had differing views on how the baby should be raised. However, Emilio showed up with a brand new mindset and set out to make Becky believe he wanted to be part of the kid's life.